Any summer inflatables available at your local dollar store. These objects are the ‘potato.’ You will also need music and the ability to play it. 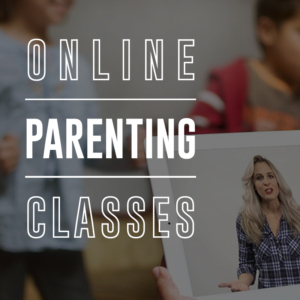 Optional items – water balloons & whipped cream. Description: Sit in a circle. Students quickly pass the ‘potato’ from student to student while music plays. When the music stops, whoever is holding the ‘potato’ is now ‘it’. “It” players can tag one other player. All other players stand up and run away in order to avoid getting tagged. “It” players and ‘tagged’ players are eliminated. Continue playing until one student is left. To make this more interesting, use multiple ‘potatoes’ to be passed around the group. You can also have students toss the ‘potatoes’ around the circle instead of passing from student to student. If you break into smaller groups, have the winners of each group have a ‘champions’ round. Small prizes can be awarded for the last students standing. Optional: Use water balloons as the “potatoes” and spread whipped cream all over them beforehand. Include them in the mix or use them exclusively. ‘It’ players can even throw the water balloons at players instead of tagging them. Fun! Leader Note: Throughout the teaching, you will be reading from Exodus 13:17–22. However, having students read instead of you is also a great idea. SAY: Congratulations to our highly skilled Hot Potato Tag champion(s)! So, just as the verse says, “The Lord, the Light of Israel will be a fire” — that’s exactly what we’re going to talk about today. We’ll learn how God became a flame to lead Moses and the Israelites. SAY: Oh, right! Thanks for helping introduce the lesson! Fire, especially a large fire, really gets your attention because it’s very bright. 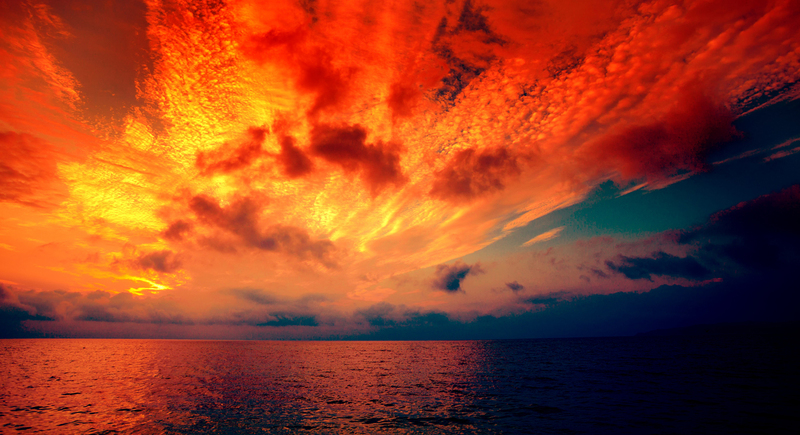 Today, we’ll talk about a very large fire that God used to get the Israelites attention. But, before we get to that, I have a question for you. Right! The runway lights! And as planes begin to land, there are other lights that flash in sequence, called strobe lights, to point the way to the runway. The strobe lights REALLY get the pilot’s attention so he or she knows where to land the plane. Without help from the strobe lights, the pilot would have a tough time lining up to land the plane. The strobe lights lead the plane to the right place, especially at night! Like the strobe lights lead the plane to the right place, God leads his people using light too. But not strobe lights, something much cooler – a pillar of fire. Let’s dive into the story now. Today’s story comes from the Old Testament book of Exodus, and today we’ll be reading from chapters 13 and 14. So, get out your Bibles and follow along. Right before this passage, we read about God speaking to Moses through the burning bush and asking him to go to Egypt. As we read today, Pharaoh has finally released the Israelites from Egypt. They head out for the Promised Land, but they choose to go through the desert to get there. And because the desert is a wide-open space with no roads or signs, God provided a guide for them. Actually, He provided two guides. When the king sent the people out of Egypt, God did not lead them on the road through the Philistine country, though that was the shortest way. God said, “If they have to fight, they might change their minds and go back to Egypt.” So God led them through the desert toward the Red Sea. The Israelites were dressed for fighting when they left the land of Egypt. The Israelites left Succoth and camped at Etham, on the edge of the desert. The Lord showed them the way; during the day he went ahead of them in a pillar of cloud, and during the night he was in a pillar of fire to give them light. In this way they could travel during the day or night. The pillar of cloud was always with them during the day, and the pillar of fire was always with them at night. SAY: When they traveled by day, a pillar of cloud guided them. But, if they wanted to travel at night God sent a pillar of FIRE! Super bright, very easy to see, it really gets your attention. You’re spot on! God didn’t send them just for a day or two. He never removed them. Right! They were traveling in a desert and it’s WAY cooler at night than during the day. The pillar of fire was their guide at night and it was a lot like the strobe lights that help pilots land their planes safely. The Israelites were able to travel safely at night because the pillar of fire was huge and it produced a ton of light! God doesn’t use pillars of fire to lead us any more. Instead He uses other things — like the Bible, important people in our lives, our friends, teachers, pastors and parents to lead and guide us. And yes, to get our attention so that we follow them and are protected! Today’s bottom line – Allow God to be in control of your life. To help illustrate this point, I need a volunteer to come upfront. Here is a remote and a remote control car. Your goal is to use the remote to guide the remote control car through these obstacles without hitting any of them. If you do, you start over. Audience, your job is to cheer her on. Okay? Great job. Everyone, let’s give her a round of applause! You and I are like this remote control car. The car needs someone to control where it goes, sort of how we need God to be in control of our lives. Otherwise, we’re going to experience consequences for our bad decisions. This requires us to give up control to God. When faced with an important decision, we ask God for guidance rather than deciding it on our own. When we experience problems, like our brother always being mean to us, we ask God for help with the situation. I think you get the idea. Are you willing to give up control to God? End in prayer and dismiss to small group. Description: Students will identify whom or what pillars of fire they follow. Their pillars may be things (Bible) or important people (parents, mentors, coaches). Allow students time to illustrate their pillars or simply identify them by name. Once complete, discuss as outlined below. This may be a good spot to address that sometimes we place pillars to follow that aren’t the best for our lives. Then guide the students to choose better options. ASK: What “thing” (not a person) did you name or draw as your pillar of fire to light the way and lead you through life? ASK: What important people have your attention and are leading you through life in a positive way? What is so special about these particular people? Or why are they such good leaders to follow? ASK: Do you consider yourself a leader or follower? Explain. ASK: What area of your life are you taking the lead, rather than allowing God to take the lead? SAY: God gave Moses and the Israelites a bright and powerful pillar of fire to follow. Still today, He provides the same for us to follow in Jesus, His awesome Word and great people in our lives. P.S. 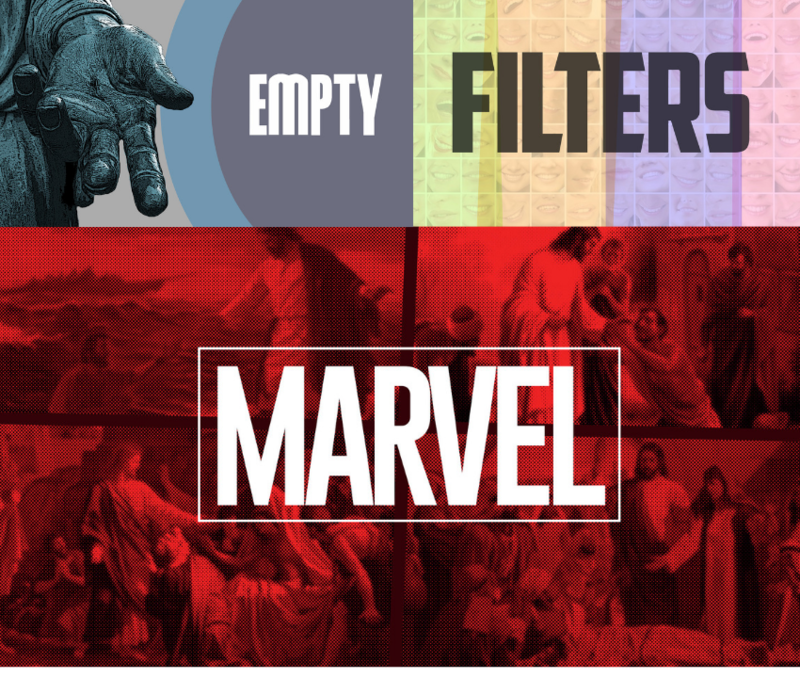 – If you like this lesson, you might want to check out the Massive Junior High Bundle. 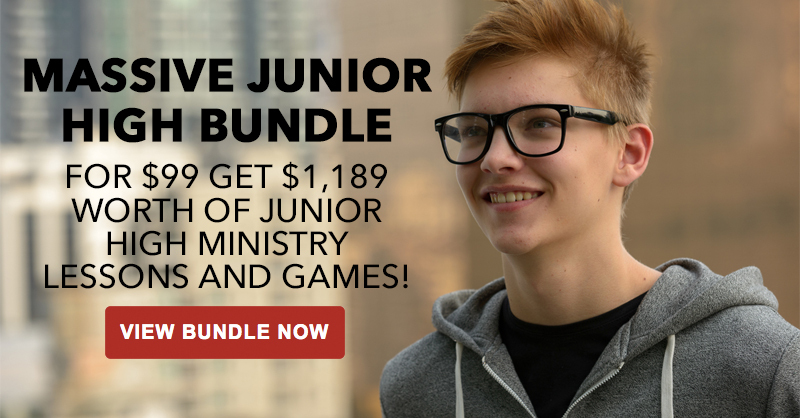 Save 90% on over 3 years of junior high ministry lessons and games. The bundle goes live Friday, October 13 at 12pm noon Eastern. Once live, it only lasts 7 days.